For more than one century, Kansas Farm Bureau has played a living, growing role in agriculture throughout Kansas, the United States and around the world. Farm Bureau is about Kansans. It's about the individuals who live in every small town and bustling city. Many have volunteered and devoted their time, energy, ideas and commitment to make this organization a strong, unified voice of agriculture. There is no doubt future leaders will do the same. When farmers, ranchers and ag families speak what their heart's hold, they can achieve their hopes, wants and needs, and our organization moves forward. Kansas Farm Bureau is, and will remain, the Voice of Agriculture. Our farm and ranch organization will continue to inform when needed, protect when challenged and fight for our members to strengthen the lives of rural Kansans and their communities. Working together, farmers and ranchers in Kansas will accomplish feats they wouldn't be able to do by themselves. 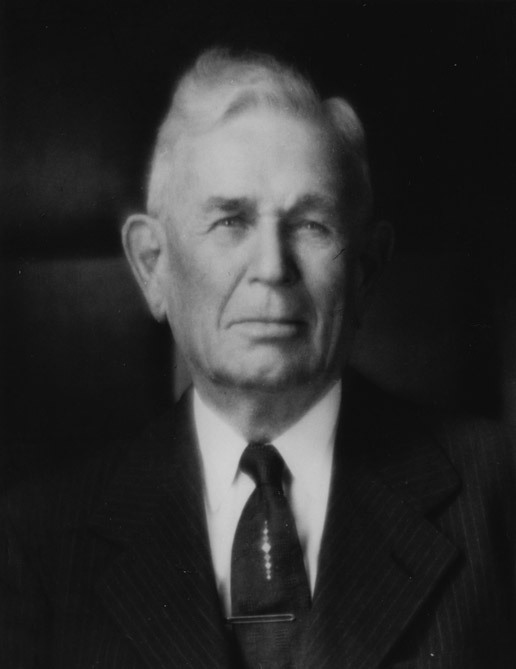 Otto Wulfekuhler, president of Wulfekuhler State Bank and a member of the Leavenworth Chamber of Commerce believed if local agriculture was more profitable, it would improve the economic health of the entire country. He approached J.M. Gilman, a prominent Leavenworth farmer, who became the first president of the proposed the "Progressive Agricultural Club of Leavenworth" in February 1912. Although some state organizations operated under different names, they adopted the term "Farm Bureau" in 1915 with the Kansas Farm Bureau Law of 1915. Therefore, the Leavenworth County Farm Bureau was the first county Farm Bureau in Kansas. Eight other counties created similar groups calling them Farm Bureaus as well. Ten county agents worked in a single county, and three district agents, each covered six or more counties. President Wilson signed the Smith-Lever Act in 1914, which provided federal funds for an expansion of county agent work across the nation. For Kansas, this act provided funding to expand Farm Bureaus into areas unable to raise the necessary money to begin one. 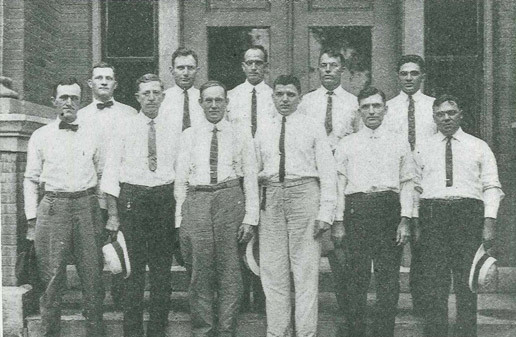 County agricultural agents in Kansas, 1914. The district agent force of 1914 and their mode of transportation. 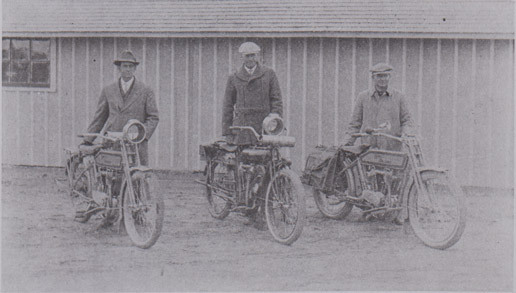 They are dressed well to cover the Kansas countryside on motorcycle. Gov. Arthur Capper signed into law the "Farm Bureau Bill." The law attempted to bring order to the different clubs and bureaus that were sponsoring county agents. The Smith-Lever Act and the Kansas Farm Bureau Law of 1915 laid the foundation for expansion of county demonstration work. The Kansas Farm Bureau Law made county Farm Bureaus locally controlled. This ensured agents would be responsive to the needs of individual farming communities. In 1916, with the aid of state and federal funds, seven new county Farm Bureaus began. Thirteen of 105 Kansas counties had Farm Bureaus. The movement slowly grew. Another year has demonstrated the efficiency and necessity of our county Farm Bureaus. Their activities have been one of the most important factors in our increased production, thereby meeting the necessities of war demands. We bespeak for them liberal treatment in the way of national, state and county appropriations and that their efficiency be increased as a factor in securing a better market situation. Thirty-eight counties sent delegates to Manhattan to create the Kansas Farm Bureau and was founded to strengthen and correlate the work of county Farm Bureaus to promote the development of the most profitable and permanent system of agriculture; the most wholesome and satisfactory living conditions; the highest ideals in home and community life, and a general interest in the farm business and rural life. Ralph Snyder in 1919, the first Kansas Farm Bureau President. He was a farmer and a banker from Oskaloosa. Snyder brought insurance to Kansas Farm Bureau. The first board of directors in 1919. The photo appeared on the cover of Kansas Farm Bureau "Bulletin" in August 1920. On. Feb. 27, Kansas Farm Bureau held its first meeting. Thirty-six counties sent representatives who elected officers and an Executive Board. During the summer of 1920, Ralph Snyder, the first president of KFB, worried about troubling events in Russia. At a meeting of the KFB Executive Board, Snyder championed use of humanitarian efforts to alleviate the human suffering. He persuaded the board to endorse a resolution calling for the release of 26 million bushels of grain for relief efforts. In March, a national organization is formed when the American Farm Bureau Federation (AFBF) is ratified. AFBF offices were established in Chicago and Washington, D.C. "What's good for farmers is good for America," proclaimed new AFBF President James Howard. In August, KFB's bulletin, "Kansas State Farm Bureau Bulletin" was released. It served as KFB's mouthpiece until Jan. 1925 when it was replaced with the "Kansas Farm Journal." Women began playing an important role in KFB as an auxiliary organization with full voting rights. Throughout the decades, Farm Bureau women led the way in citizenship activities, home improvement seminars and foreign visitor programs. 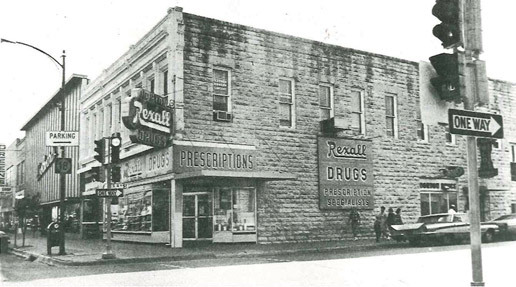 Beginning in 1923, KFB began advocating comprehensive reformation of Kansas tax laws on property, highways and luxuries. Professor Eric Englund, of the Agricultural Economics Department at Kansas State Agriculture College, completed a study of taxation in Kansas and included recommendations for reform. Kansas Farm Bureau gave a thumbs up on these recommendations. The program shifted 12 percent of real estate property taxes to intangible property, and other taxes. 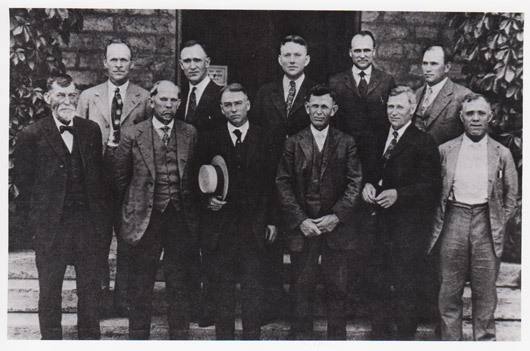 At the annual meeting in 1924, Farm Bureau members adopted Englund's program and applied pressure on Kansas politicians. This eventually led to a successful gasoline tax and a state income tax. It also decreased property taxes. On June 1, Kansas Farm Bureau began selling auto insurance underwritten by Farm Mutual Automobile Insurance. On Nov. 1, KFB began insuring life insurance through State Farm Mutual Life Insurance. To provide a more flexible medium of exchange. On March 16, President Roosevelt urged Congress to pass an "Agricultural Adjustment Act" (AAA) to increase farmers' buying power. In May of the same year, Congress passed the act, essentially creating the agricultural system we know today. In January Ralph Snyder resigned as Kansas Farm Bureau President with the board's regretful acceptance. Snyder defined the office for those who came after him. Dr. Oliver O. Wolf, previous vice president, succeeds Snyder as president. Dr. Oliver O. Wolf, President, in 1934. Wolf was a veterinarian by trade and very driven. 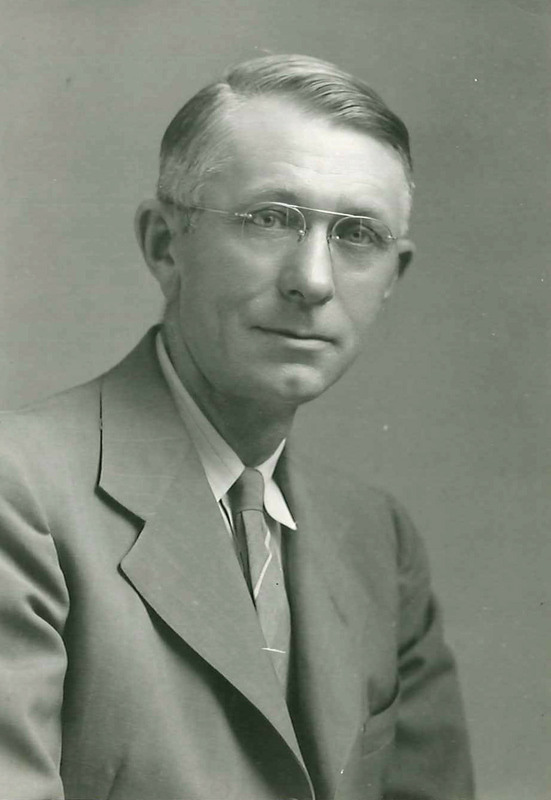 He was the force behind creating Farm Bureau Mutual Insurance in 1938. On May 27, the Kansas Farm Bureau board of directors created the Farm Bureau Mutual Insurance Company, Inc., (FBMI) and empowered it to write insurance on all types of accidents, first by concentrating on an automobile insurance service. On Oct. 27, the final step in creating the relationship between Kansas Farm Bureau and the Farm Bureau Mutual Insurance Company Inc. took place when a service agreement between the two companies was signed. From 1920 to 1954, KFB resided in several locations in downtown Manhattan. April 17, 1944: President Wolf died in a car accident on his way to a board meeting in Manhattan. The Vice President, Harold Harper, was nominated president and became the organization's third leader. Because of an organized membership drive, 103 counties out of 105 sported organized county Farm Bureau associations and membership jumped to an all-time high with 30,831 members. During the annual meeting in October, voting delegates voted to unseat Harold Harper as president and replaced him with Herman Praeger of Barton County. Harold Harper of Rawlins County succeeded O. O. Wolf as President of Kansas Farm Bureau. 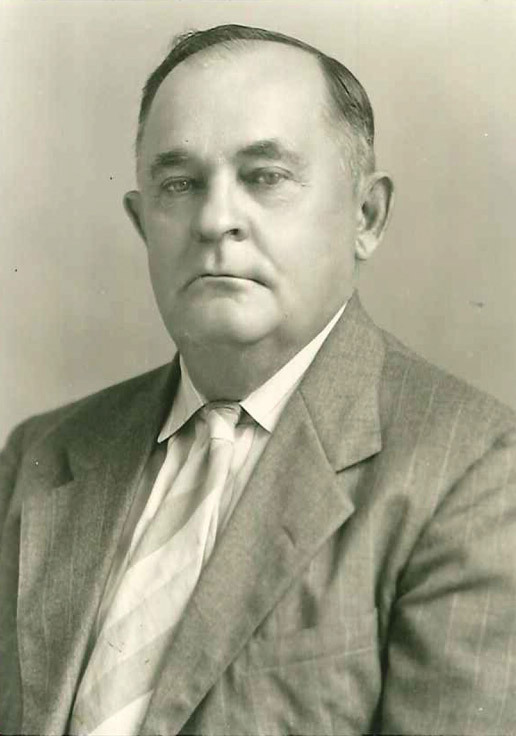 Herman Praeger, Kansas Farm Bureau President from 1945-1954. In November, the first edition of the Kansas Farm Bureau News rolled off the presses as a 12-page monthly publication. 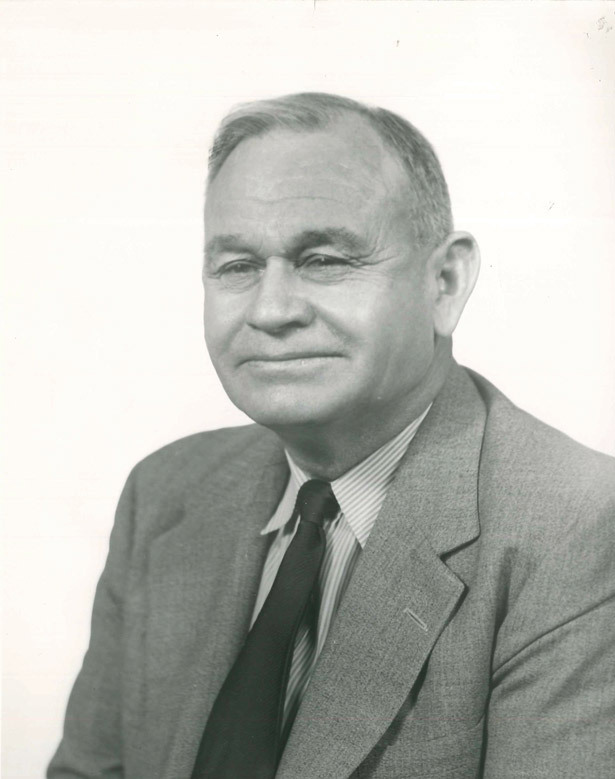 As Legislative Research director, it was Clarence Rupp's responsibility to oversee the Farm Training Program. The program brought foreign youth to live with Farm Bureau members. Rupp is introducing German youth to their hosts. On March 26, KFB formed Kansas Farm Life Insurance Company and it officially opened for business. 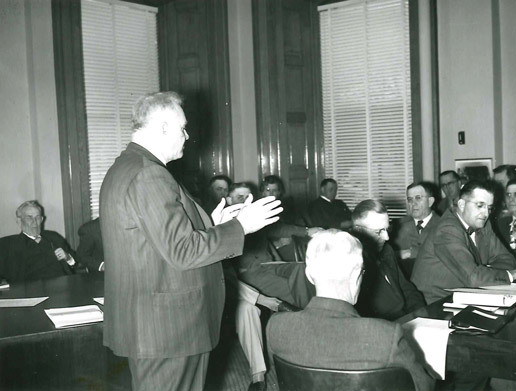 On Jan. 15, 1951 members of Kansas Farm Bureau voted 142-132 to end the relationship with Extension. While contentious at the time, this decision ended once and for all the inherent contradictions of the goals Kansas Farm Bureau wanted. From its inception, Kansas Farm Bureau sought to combine a non-political, state-supported goal of bringing agricultural education to rural communities, with a political and private interest to make agriculture stronger in the state. The two goals were bound to conflict. Farm Bureau's movement had achieved the first goal with astounding success by the early 1930s. However, the political goal of making Kansas agriculture stronger became more incompatible with a state-supported program – especially as Farm Bureau grew. By separating the mechanism of education and leaving it in place in communities, Kansas Farm Bureau freed itself from even the hint of impropriety and could continue freely toward the goal of strengthening agriculture. 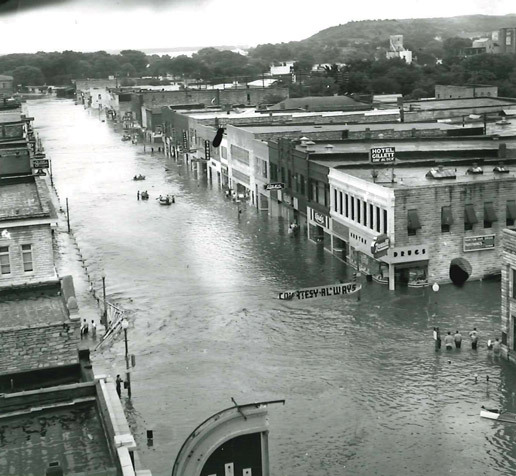 On July 13, the 1951 flood in Manhattan hit Kansas Farm Bureau's home at the Wareham Hotel. The hardest hit were the publishing resources of the Kansas Farm Bureau News and the offices of Kansas Farm Bureau Mutual Insurance, which were housed in the Wareham's basement. Also destroyed were historical documents of Kansas Farm Bureau. 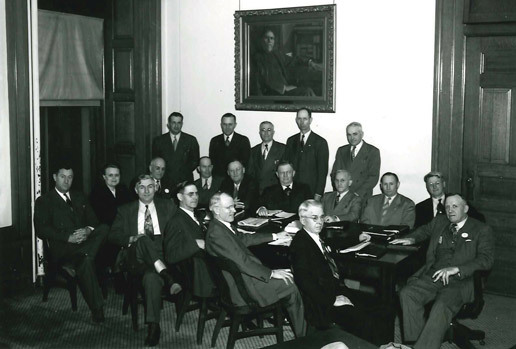 The Agriculture Committee of the Kansas Legislature in 1949. This group made the final decision of the relationship between Farm Bureau and Extension. W. I. Boone- Hearing. Kansas Farm Bureau President Praeger and W. I. Boone attend House Bill 364 Hearings to split Extension and county Farm Bureau affiliations. These photos were taken from the roof of KFB's offices in the Wareham Building looking out on the damage of Manhattan's Poyntz Avenue. 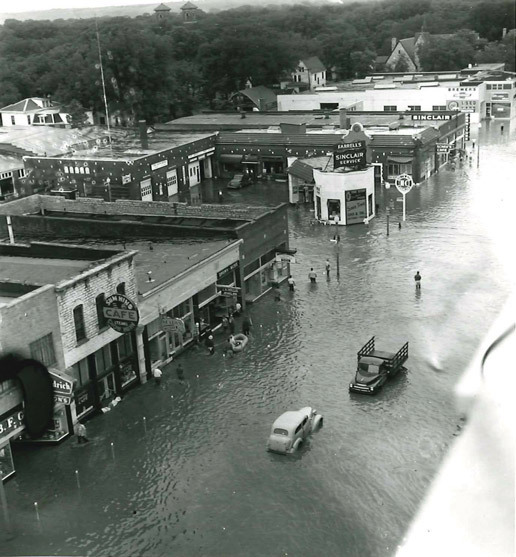 The flood of 1951 caused millions of dollars in damage. As Kansas Farm Bureau continued to move forward after the break with Extension, Mother Nature threw another challenge at the farm and ranch organization located in Manhattan. After the flood of 1951 decimated existing Farm Bureau facilities, the decision to build a state Farm Bureau headquarters followed. The question became: where to build? After considering several Kansas communities, a tract of land outside of downtown Manhattan was purchased for the home of Kansas Farm Bureau. 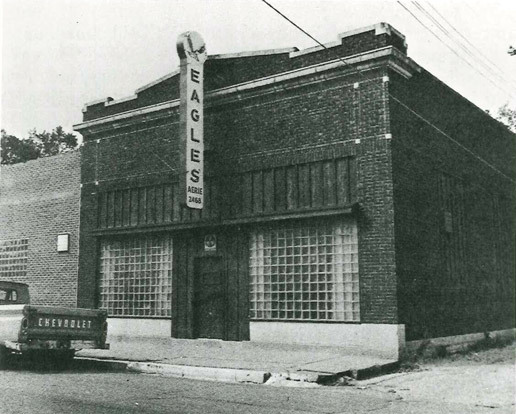 May 19, 1954 marked the completion date of the new facility. 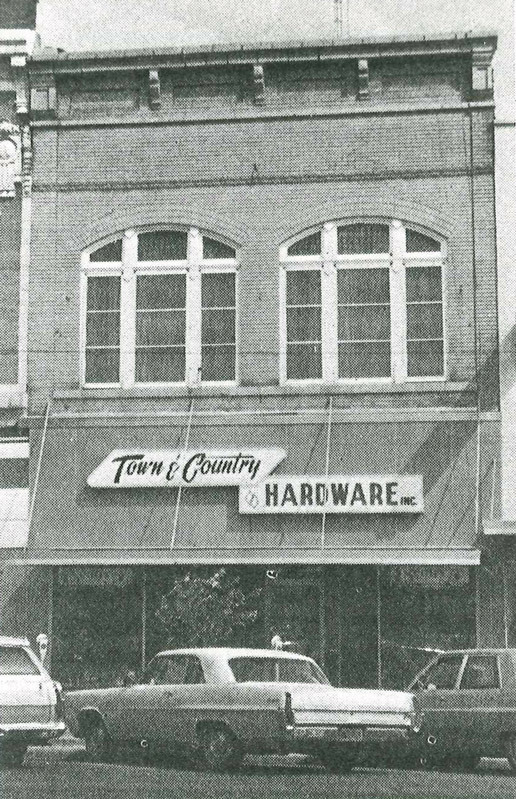 At the time KFB bought the tract, the surrounding area was vacant. Many Manhattan residents scoffed at the idea of building a huge, modern building in the middle of a pasture. 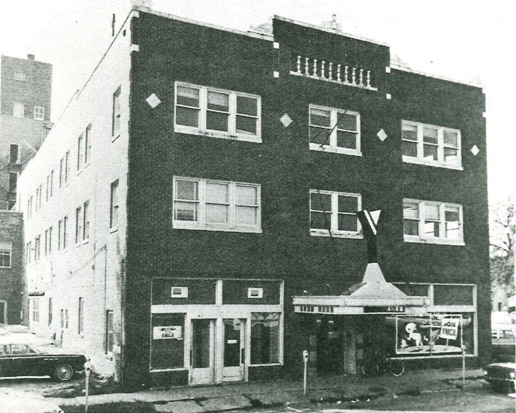 But when the KFB building was finished, it helped spur a westward expansion of the community. 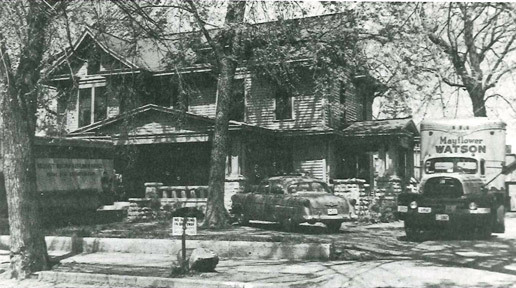 From 1954 to 1989, 2321 Anderson Avenue housed KFB and its affiliated services. President W.I. 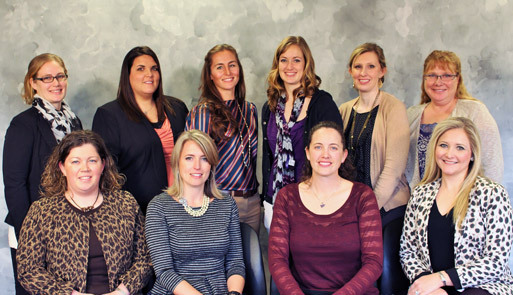 Boone expanded the Organization Department to make it more flexible and responsive to the needs of Farm Bureau members. 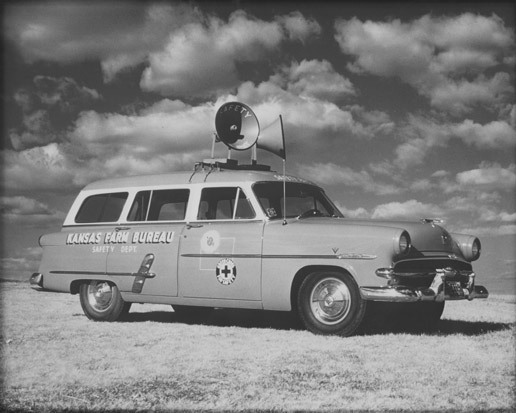 In 1955, KFB started a radio farm program known as Radio Kansas Farm Bureau News and in three short months 13 stations across the state carried the program. Another successful organizational reform established annual Leadership Trainings schools. KFB understood the future of the farm organization rested in the hands of young dedicated farm leaders. The Legislative Research Department, with increased staff and statewide meeting schedules, allowed Kansas Farm Bureau lobbyists to become more informed about the needs of farm and ranch members across the state. The Kansas Farm Bureau Safety Wagon traveled the state as part of KFB's Safety Program demonstrating household dangers and promoting the awareness of things such as slow-moving vehicle signs, safety belts and household fire extinguishers. 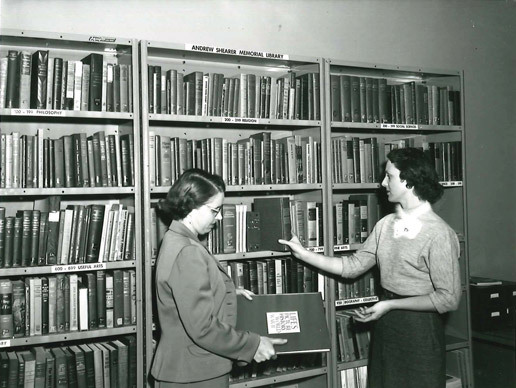 In honor of one of KFB's founders, Andrew Shearer, a library was created for members to check out books by mail. Kansas Farm Bureau created its own marketing association, Kansas Agricultural Marketing Association (KAMA), which allowed members of KFB to unite and bargain collectively for better prices for commodities and livestock. 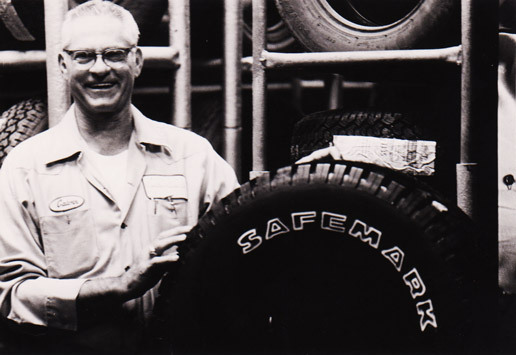 The Safemark tire program became one of the more popular programs during the 1960s. Safemark offered a quality product at competitive prices. During the '70s, oil and grease products, tools and tillage-replacement equipment was also offered through KAMA. While the Safemark Tire Program was a popular marketing program, it was discontinued in 1987. 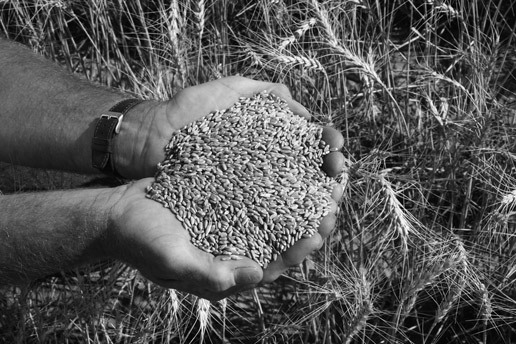 In 1963, the "wheat referendum" arose because of declining farm income and federal farm policy over-regulating the wheat production. The United States Secretary of Agriculture Orville Freeman proposed a new wheat and feed grain program that cut acreage and increase price supports. Kansas Farm Bureau President Walter Peirce, a wheat growing pioneer in his own right, spoke out strongly against the proposal with other farm leaders. 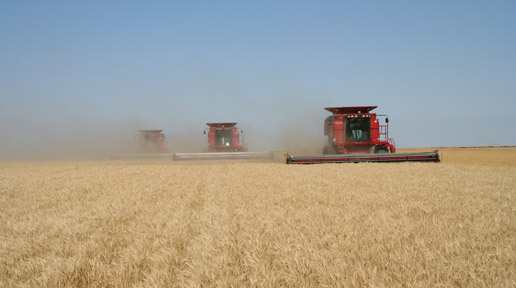 Farm Bureau leaders believed the government was once again trying to saddle wheat farmers with increased restrictions. The wheat referendum failed. And while the wheat referendum's defeat proved Kansas Farm Bureau's vitality and strength, the Board of Directors remained dissatisfied with the nation's wheat policy. Handfuls of golden grain symbolize nine months of work, worry and celebration when wheat pours out of the combine bin and into the waiting truck at harvest. This is a time of reflection and thanksgiving for a bountiful harvest. During the '60s, farmers and Farm Bureau leaders learned increasing farm exports were the most effective way to bolster agricultural income in the United States. Throughout much of the '60s, ag exports took a back seat to manufacturing and other goods and services this country sent overseas. America's huge grain reserves gave the federal government complete control over agriculture and this resulted in depressed commodity prices for much of the decade. Only after market surpluses declined because of the massive export sales agreement with the Soviet Union (beginning in 1972) did grain exports prosper. U.S. farmers realized if they could maintain or increase export levels, American farmers could thrive. Our nation began to think globally regarding agriculture. Machines march through a Scott County wheat field. 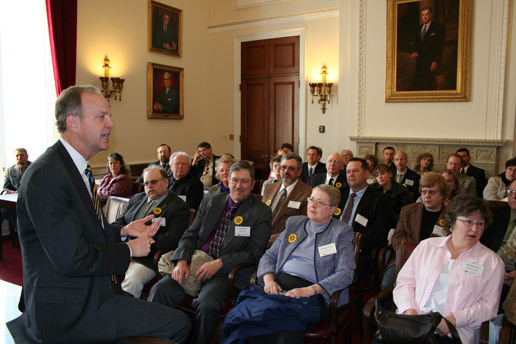 Farmer/rancher members take message to D.C.
Kansas Farm Bureau counters the American Agricultural Movement (AAM) which clamored for a return to parity (1914 agricultural values, widely considered the golden age of American farming and ranching) through government price supports. Arguing a philosophical policy Kansas Farm Bureau held since the end of World War II, the state's largest farm organization said what agriculture needed was less government interference and freer markets – the exact opposite of the goals of the AAM. This experience led to farm and ranch leaders from across Kansas visiting congressional leaders in Washington annually to advocate on behalf of their farm and ranching interests. County Farm Bureau presidents from across Kansas advocate in our nation's capital and hear from their Congressman Jerry Moran, now a U.S. Senator. 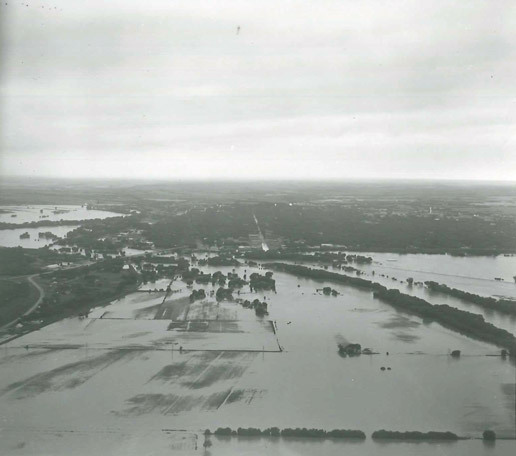 After riding the tide to success during the '70s, Kansas farmers, and their counterparts across the country, suffered the worst agricultural slump since the Great Depression. Adverse weather, interest rates, fueled by runaway inflation, reached unheard-of levels, a failing U.S. economy, and federal government interference with export sales led to the bankrupting of American farmers. Kansas Farm Bureau tried to adapt and keep growing but by 1981 conditions continued to deteriorate and memberships leveled off for the first time in a decade. In 1984, after nearly six years of economic turmoil, the national economy moved slowly toward a recovery as interest rates and unemployment declined and gross national product improved. This economic revival aided farmers and ranchers, although many difficulties lay ahead in the farm and ranch sector. At a mid-'80s Kansas Farm Bureau annual meeting, voting delegates wrestle with the issue of trade. Kansas farmers and ranchers understand the importance of trade and U.S. agriculture. Our entire rural economy depends on agricultural exports and farm income. Local Kansas banks, implement dealers, grocery stores, even health services, depend on our ability to market wheat, corn, soybeans, cattle and hogs abroad. Reorganization of Kansas Farm Bureau's marketing programs changed the direction of this benefit to farm members. KFB's marketing activities in the past had been aimed at larger-scale programs. 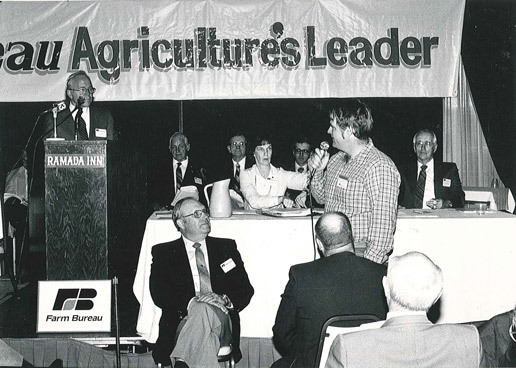 In 1985, KFB President Doyle Rahjes and the KFB Board focused on a more personal approach designed to help individual farmer members. 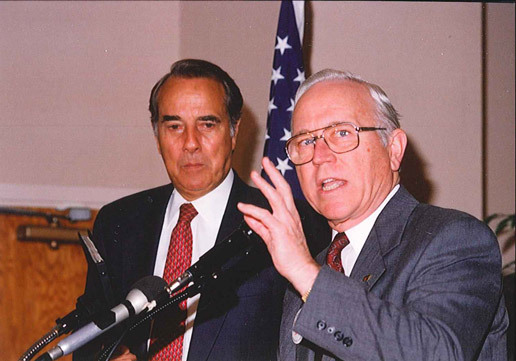 Senate Minority Leader Robert Dole listens as Kansas Farm Bureau President Doyle Rahjes addresses farmers and ranchers during a Country Presidents to Washington trip in 1989. For nearly 100 years, Kansas Farm Bureau has understood the importance of advocating on behalf of farmers and ranchers. No one tells the story of farming and ranching better than those who care for the land and livestock. Growth in all areas of Kansas Farm Bureau signaled the need for a new facility to house the state's largest farm organization. 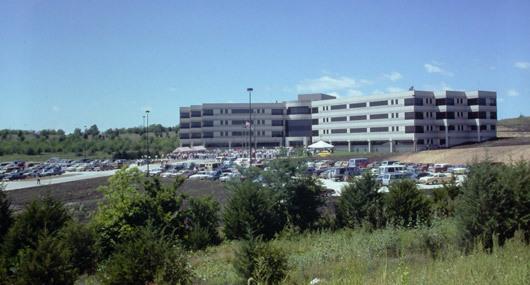 The building located on Anderson Avenue was built to accommodate 350 employees, by 1986, Kansas Farm Bureau employed nearly 600. Kansas Farm Bureau survived the 1970s, and after the agricultural recession ended in 1986, FB members across the state looked forward to a brighter economic future and a new home in the late '80s. Always looking for ways to help its members farm smarter, Kansas Farm Bureau organized a state-level Natural Environmental Resources Committee (NER). The committee included members from every district and examined environmental hazards of agriculture to discover solutions. A one-on-one consulting service called Market Sentry was added as a member service. Interested client-members were invited to partner with KFB to assist with their marketing plans. After three years of planning and building, the state's largest farm organization moved into a new 215,000 square foot building on a 45-acre site west of Highway 113 in Manhattan on August 20. 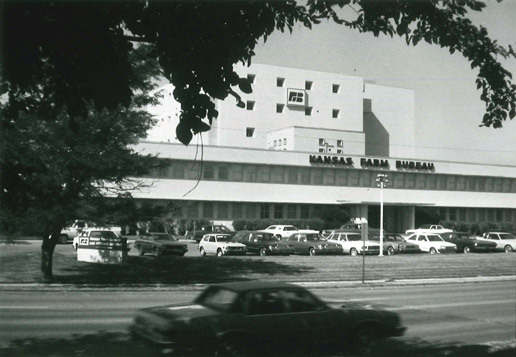 The state-of-the-art building allowed Kansas Farm Bureau space to grow and serve its members throughout the state. Farm Bureau engaged its members and worked diligently to pass a constitutional amendment that adjusted the classification rates on commercial properties. These efforts helped stop constitutional attempts that would have broadened the tax base with livestock and farm machinery. 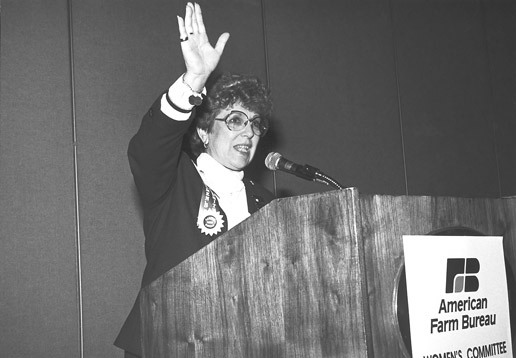 During the annual meeting of 1993, Farm Bureau delegates approved a Political Action Committee. True to its roots, Kansas Farm Bureau, Voters Organized to Elect Farm Bureau Friends or VOTE FBF ensured a political fund could operate in a grassroots fashion. Recommendations from counties meant those elected to the legislature and Congress were supported from people in their corresponding districts. Since its inception more than 90 percent of VOTE FBF-supported candidates have been elected. 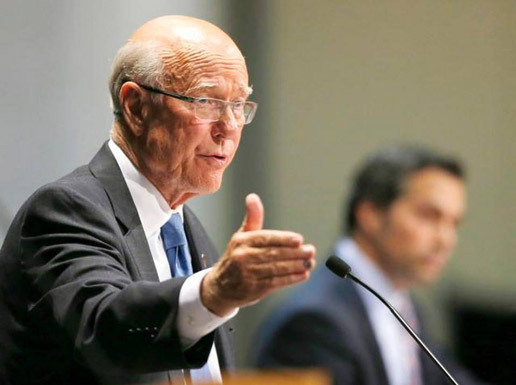 With strong support from Farm Bureau members in Kansas and help from Sen. Pat Roberts, who was then Agriculture Committee chairman in the House, the Freedom to Farm Act of 1996 was passed. The act provided freedom and flexibility for farmers across the United States to plant the crops they desired on to on their farmland. State-level, commodity specific committees are created which helped ensure issues affecting all areas of agriculture are analyzed during Kansas Farm Bureau's policy-development process. Seven Ag Advisory Committees (beef, dairy, feedgrains, hay and forage, oilseeds, swine and wheat) discussed, researched and finally made recommendations to the Kansas Farm Bureau board of directors. To provide vital funding and programs aimed at strengthening agriculture and the state's quality of life, the Kansas Farm Bureau Foundation for Agriculture originated. Since its inception, the foundation has awarded hundreds of thousands of dollars to provide scholarships and grants to individuals, county Farm Bureaus, local FFA programs and more. The first national Food Check-Out Day event occurred in Chicago in 1998. The day, celebrated in mid-February, when the average household earned enough disposable income to pay for its annual food supply. The idea spearheaded by Linda Reinhardt, Neosho County, served as American Farm Bureau Federation's women's committee chair. She served on the committee until 2001. Throughout her years of service, Linda was able to make the initial contacts and worked to establish the Farm Bureau connection with the Ronald McDonald House. The American Farm Bureau Foundation for Agriculture established the White-Reinhardt Fund for Education in dedication to Linda for her years of advocating for agricultural education in the classroom. Linda Reinhardt, Neosho County, served as American Farm Bureau Federation's women's committee chair and helped start the national celebration of Food Check-Out Day. Kansas Farm Bureau revamped a program started in 1976, that honored farm families who weathered the ups and downs of farming. In 1976 the Century Farm program honored only district winners and a state-level winner. In 2000, the program was opened to any Kansas farm whose current owner/operator is related to the owner/operator of the farm for 100 years or more with at least 80 aces of the original Kansas farmland. More than 15 years later, at least 100 applications are sent in every year. 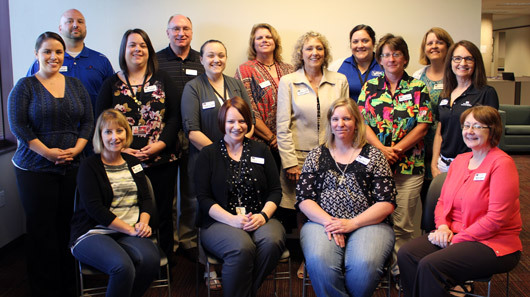 The Masters Program was designed to improve the knowledge of Kansas agriculture and Farm Bureau organizational goals and objectives with staff and county coordinators across the state. As the program continued, it was made available to anyone wanting to learn more about the state's number one economic driver. Today, the program continues to be a popular KFB program. Graduates of Kansas Farm Bureau's Masters Program come away learning more about the varied types of agriculture in Kansas, and how it impacts our state, communities and lives. To offer better products to Farm Bureau customers, Kansas Farm Bureau Life, was consolidated with Farm Bureau Life Insurance Company, FBL, Financial Group, Inc., in West Des Moines, Iowa on Jan. 1. The board of directors knew that combining products and services with 15 other states would provide superior products to help members meet their financial needs. Years of violent weather patterns including tornados, floods and hail made it difficult for Kansas' single-state insurance company to offer competitive rates for insurance customers. In July, the board of directors voted to merge with Farm Bureau Mutual Insurance Company and Nebraska Farm Bureau Insurance Company. The merger provided a geographic diversification and helped stabilize insurance rates for customers. Collegiate Farm Bureau chapters began at Colby and Fort Scott community colleges in 2005. The program supports students engaged in agriculture, enhance members' education and develop future leaders for the organization and ag industry. Today, Collegiate Farm Bureau chapters exist on 15 college campuses across Kansas. 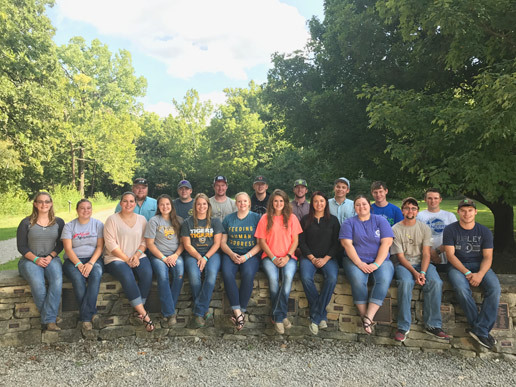 More than 300 college students are members of a Collegiate Farm Bureau chapter in Kansas. The program provides leadership and education opportunities for students on 15 college campuses in the state. Kansas Farm Bureau CEO Dan Yunk, a retired teacher, principal and school superintendent, understood how important it was to connect consumers to farming. In 2007, the first book in a series of seven was created as part of Kailey's Ag Adventures. The books were written by Yunk and were created to share the story of agriculture with families, schools and libraries. More than 53,000 copies have been distributed across the United States. 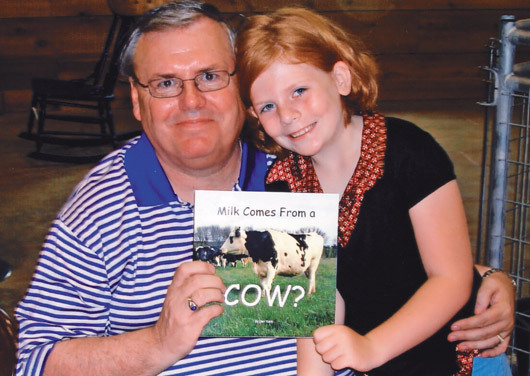 KFB CEO Dan Yunk created a book series after his granddaughter, Kailey, joined him on a Kid's Ag Day event. Dan is pictured here with Kailey. 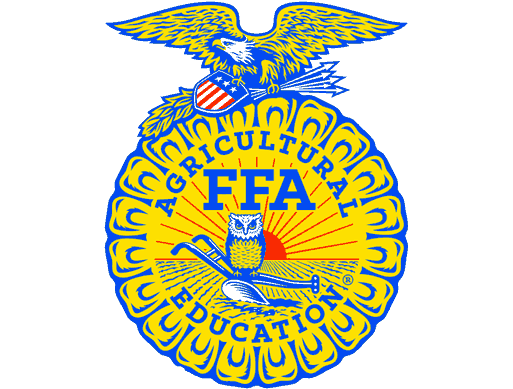 To help new FFA chapters begin on a solid foundation for tradition and success, KFB began offering grants to new FFA chapters across the state. Kansas Farm Bureau created Leadership KFB with the purpose of developing members as grassroots leaders. The year-long program focuses on creating influential, thought-leaders who will choose to engage, create change, and look for solutions, not only in agriculture, but in counties and communities across the state. KFB and Kansas FFA partnered together in 2016 to offer an FFA Discussion Meet designed to stimulate logical thinking, develop skills in communication and problem solving and engage FFA members in solutions for important topics of today's agriculture industry. The competition develops leadership skills, such as critical thinking, problem solving, active listening and collaboration, in future leaders of the agriculture industry. KFB began awarding grants to Kansas Family, Career and Community Leaders of America (FCCLA) chapters across the state. The grant funds provide the opportunity for FCCLA chapters to conduct projects in the school or community around food and farming. Access to both wired and mobile broadband internet is critical for the future of agriculture and rural America. Members participating in KFB's Leaders Engaged and Acting in DC (LEADs) trip visited with the Federal Communications Commission (FCC), where the idea of participating in the Mobility Fund Phases II (MF-II) Challenge emerged. KFB received a waiver from the FCC to participate in the MF-II Challenge. The MF-II is a fund of $4.53 billion to support the establishment and preservation of reliable mobile voice and broadband coverage primarily in rural America. After seeing the coverage maps provided to the FCC by the telecommunications providers themselves, KFB knew we had to engage in this matter to help prove the inaccuracies of these maps by demonstrating the unreliable coverage in Kansas. More than 400 volunteers engaged and effectively crowdsourced wireless broadband shortcomings in more than 2,000 Kansas locations. Because of this effort, KFB is recognized as a leader in the state advocating for better broadband coverage for our farmer and rancher members and for rural communities.